A facelift is a cosmetic plastic surgery procedure of the face that removes facial aging changes to make the face to look younger. 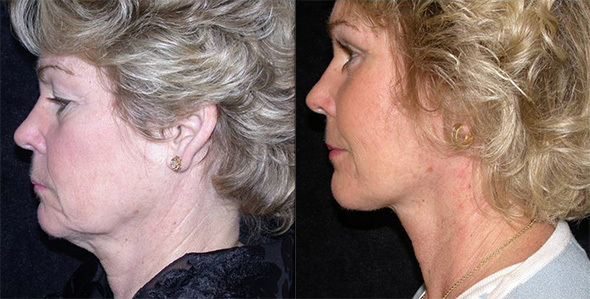 A facelift removes and tightens loose, sagging excess skin from the face. Facelifts should lift the brow and cheek, lessen the nasolabial folds, remove jowls, and tighten the jaw line. During a facelift the facial skin is lifted and the facial muscles are tightened into a more youthful position. 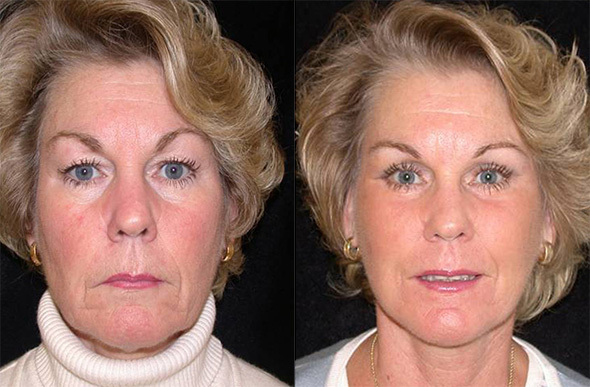 This deep tightening is called a SMAS facelift and is a long lasting facelift. Excess, loose, sagging skin is removed. Why do people have a facelift? What other facial plastic surgery can be combined with a facelift? Yes in the hands of an experienced plastic surgeon who is certified by the American Board of Plastic Surgery. You must be in good health, do not smoke, do not have uncontrolled elevated blood pressure, and have no autoimmune or blood vessel disease that interferes with circulation. What will I look like right after my facelift? You will see your result and a nice improvement the next morning. You will shower and wash your hair and go home without a bandage. There may be swelling and some bruising in the neck. How do I avoid a bad facelift, surprised look or windswept look? Don’t shop facelift price, choose the best plastic surgeon. Before your facelift the plastic surgeon will draw the natural direction of lift for your facelift. These lines are called vectors and must be customized for your unique face. When you see a person who looks surprised, windswept, or bad after a facelift it means the surgeon did not lift the face in the proper natural direction. 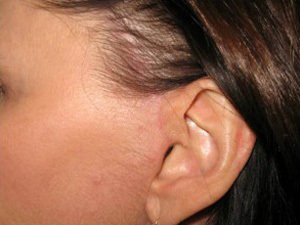 I use a special technique to hide facelift scars inside the ear and hair. It is very hard for anyone to see my facelift scars. Are facelift, neck lift and other procedures painful? The most common complaint is not pain, but that the face feels too tight. I want you to feel too tight because as swelling reduces I do not want the skin to loosen. Most patients only require pain medications the first 4-5 days. Realself.com lists $11,100 nationally. For the best plastic surgeon expect to pay $15,000 for most experienced surgeon. How long will it take for me to recover after a facelift? Plan a 2-3 week recovery. Do not plan important social engagements like a wedding or a photo session for 6 weeks. Who should do my facelift and facial plastic surgery? I recommend a plastic surgeon who is certified by the American Board of Plastic Surgery. A short scar facelift is a modified facelift with a shorter scar which is most successful in patients without severe face and neck laxity. Facelift surgery is an advanced cosmetic surgery procedure that can help men and women look and feel years younger. If you have been considering facial rejuvenation surgery, contact one of the best facial plastic surgeons in Boston, Dr. Brooke R. Seckel. Call the practice today at 617-455-2859.